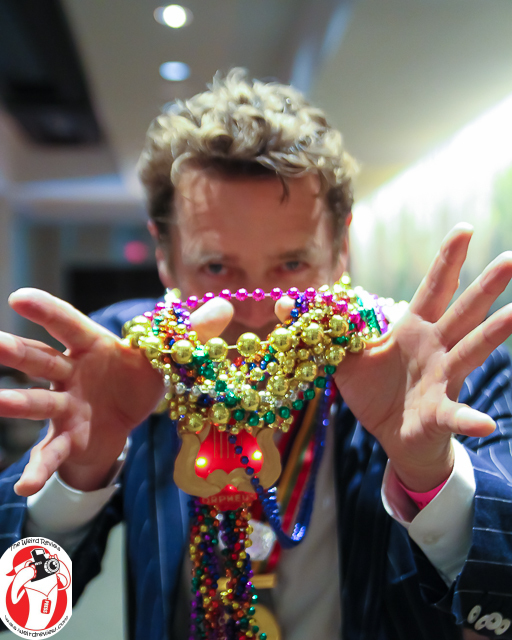 Last night the Bacchus Krewe rolled down the streets of New Orleans with Hugh Laurie riding as 2014’s King Bacchus. Had things gone according to plan, this article would have photos of Hugh Laurie and others from the Bacchus parade. There would also be another article and photos from the Mardi Gras Joe Cain Day in Mobile, Alabama. Sometimes, however, plans have to be scuttled in favor of aiding a stranger in distress. In this case it requires the postponing of photos from Bacchus but allows entry behind the scenes of the Orpheus Krewe. 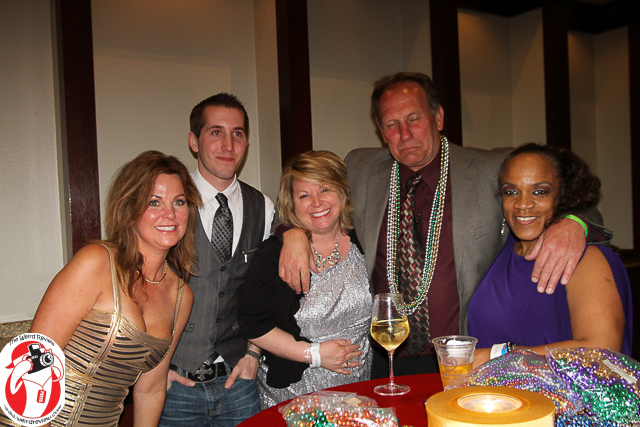 Who is the man behind the beads at the Orpheus Captains’ Party? Tonight I encountered a somewhat familiar face in an unexpected place. The fellow was trying to get across the parade route. In chatting with him it became apparent that his familiarity was due to his working with the Wizard World conventions. He was the celebrity appearances manager of John Schneider and others. After a few aborted attempts to work our way through the crowd we jogged a few blocks down the street where, after showing my press credentials to a police officer, I introduced him as Mr. Schneider’s Manager and indicated his need to get across the parade route. The officer soon had us across the parade route and I was invited to stay for the Orpheus Captain’s Party. 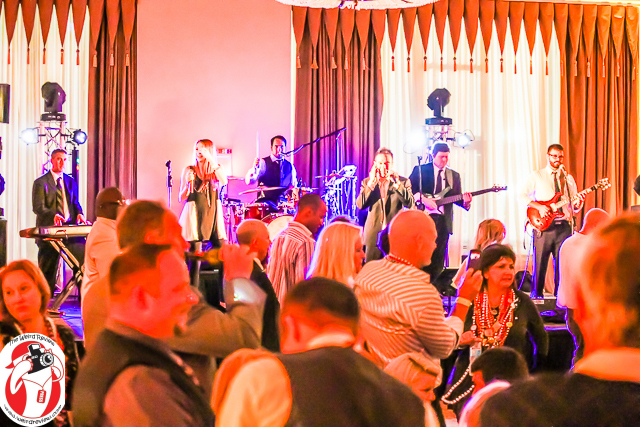 If you ever have the opportunity to attend a Mardi Gras Ball, Captain’s Party or other Mardi Gras gala event, don’t pass it up. While forgoing the opportunity to shoot the Bacchus Parade was sad, I managed to soften the blow with the delicious foods at the Captain’s Party at the Sheraton. There were several stations with delicacies at each one. The first had meats that were tasty and the second, the seafood gumbo, a New Orleans standard, was delicious of course! At another there were succulent, sauteed shrimp over over grits, but the real surprise treat was the Jambalaya with alligator and duck. For entertainment, the captains had the band, New Orleans Karma. 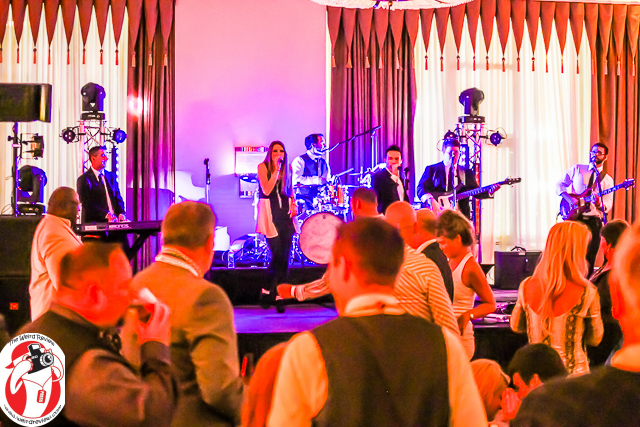 They performed while the captains and krewe ate but it wasn’t long before the dance floor was filled with the Orpheus celebrants working off the delicious dinner. After Orpheus, the band was heading over to the Bacchus Bash to close the evening there. Again, if you get the chance to attend a performance of New Orleans Karma, you will want to do so. They are good enough for the Captains of Orpheus and the Bacchus Bash and you will love them too. Oh, and the icing on the evenings cake was that Mr. Schneider did take a moment to allow me to catch a photo. Happy Lundi Gras everyone and Laissez les bons temps rouler tonight at the Orpheus parade! For more photos of last night’s party check out our Mardi Gras Memories photo album of the Orpheus Captains Party. 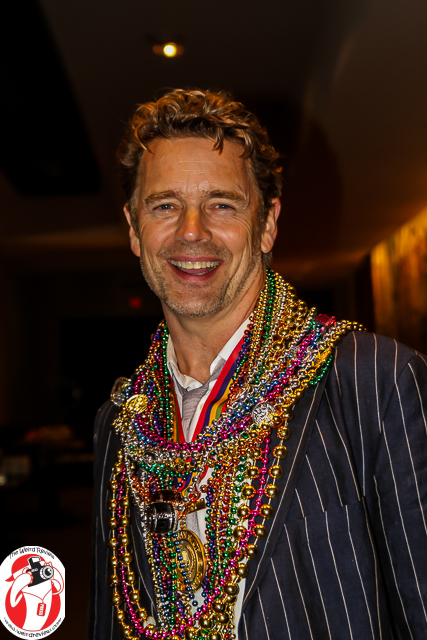 I was so happy to see JOHN SCHNEIDER’s smiling face and bunches of Mardi Gras beads. As he is now a Louisiana resident from Holden, LA, he is enjoying the wonderful times you have provided. He has recently purchased and built the John Schneider Studios and will be filming for independent filmmakers as well as screening his new feature film SMOTHERED. Congrats and have fun, John!